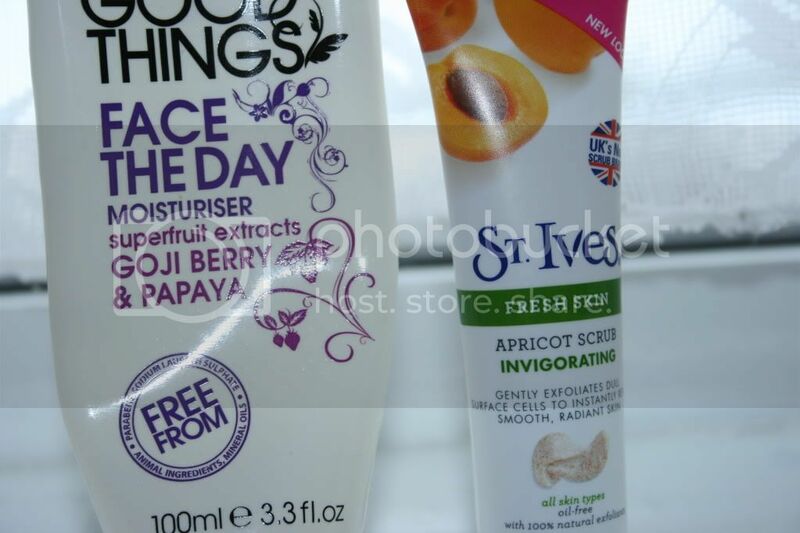 These are a perfect pair in my eyes, after using St Ives Apricot Invigorating Scrub. Which leaves my skin feeling like it can start from a clean sheet, defiantly softer. This smells so fruity just like apricots (you don't say?). Although perhaps making it feel a little on the sensitive side. 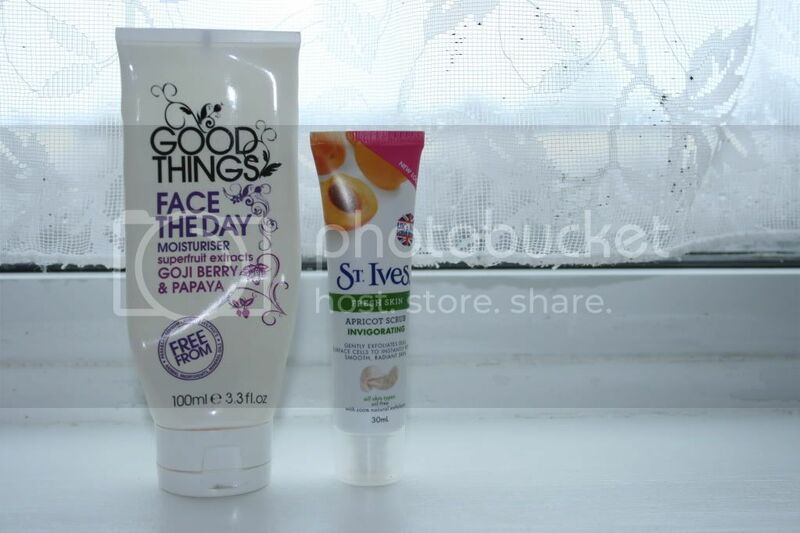 Well have no fear Good Things Face The Day Moisturiser comes to the rescue a gives your face that well earned drink. 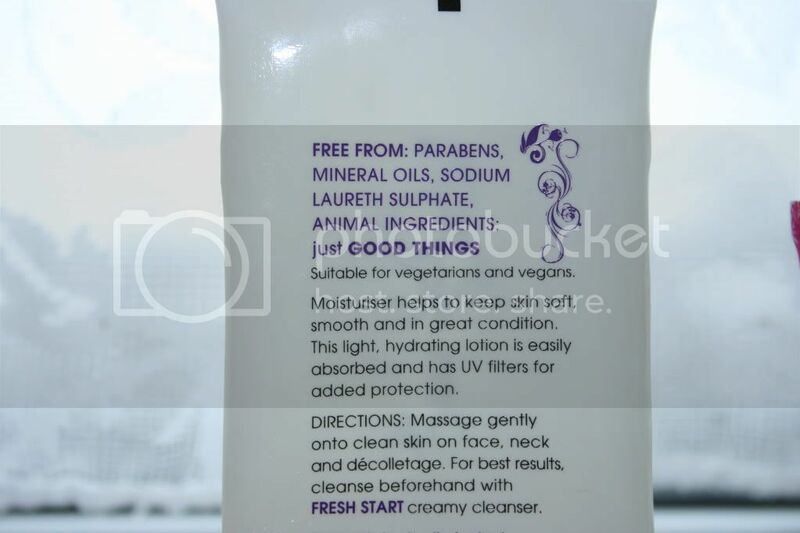 I have never really heard of a product being "free from parabens" which is actually quite nice to hear as you know that no chemicals were just chucked in there. Although perhaps on the more expensive side of moisturisers it is worth every penny you also don't have to apply a huge dollop. What are you favorite skin care products? 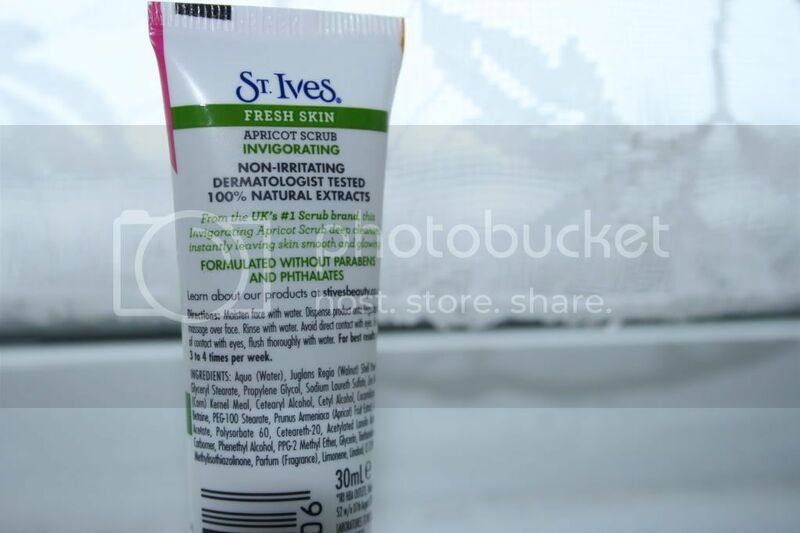 I love St.Ives, im gonna be doing a review on one of their products very soon!